At Old Dutchman’s Wrought Iron, Inc. we take pride in quality workmanship and design, so our products have long lasting use and appearance. Below is a list of some custom products we have created for our customers, please do not limit your self to only of these products we have the capability to custom fabricated many other products as well. Our products can be designed to complement any architectural style. Whether you require a rather simple or very complex design we can build it for you, Old Dutchman’s Wrought Iron prides itself on going that extra mile to meet all our customer’s needs. Imagine a beautiful new custom fabricated product at your home or business that only you have, no mass produced products that every store in town has, just your own. 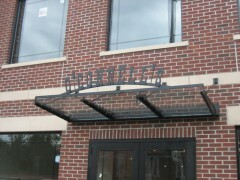 Any product from Old Dutchman’s Wrought Iron, Inc. will add a lifetime of beauty and value to any decor. All our products are fabricated in our own facility by experienced professional fabricators using old technology and new technology. 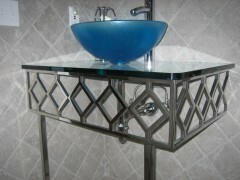 Please browse our photo gallery to see the wide range of products we have custom built for our customers. Old Dutchman’s Wrought Iron, Inc. can build almost any ornamental product, if you see a certain product anywhere or develop one yourself or thru a designer or architect please ask a sales/design associate if we can custom build it for you. We look forward to being of service on your next project.